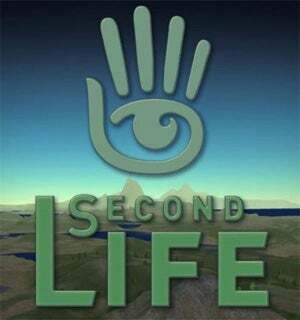 Second Life creators Linden Lab have been shopping for shopping, acquiring virtual goods marketplaces OnRez and Xstreet SL in order to integrate them into their popular virtual world. OnRez and Xstreet SL (formerly SLExchange) are basically the Amazon.com of Second Life, where residents of the virtual world can browse and purchase items for their avatars without having to leave their virtual homes to shop. Call it the ultimate in laziness. Formerly run by independent companies, Linden Lab have now purchased both online marketplaces, consolidating them into XLstreet SL. The Lindens plan on integrating the XLstreet SL marketplace directly into Second Life, so users do not have to open up a web browser in order to shop, removing the time consuming alt-tabbing step from the mix. A grand idea, but I'd much rather Linden Labs concentrate on making the login server functional before adding more bells and whistles. If we're going to be able to buy goods in Second Life, being able to log in would help. SAN FRANCISCO—(BUSINESS WIRE)—Linden Lab®, creator of the virtual world Second Life®, today announced a key milestone in its expansion of the Second Life platform: acquiring two Web-based marketplaces for virtual goods, Xstreet SL and OnRez. These acquisitions join several other recent strategic initiatives, including enhancements to the experience for new users, which will enable Linden Lab to reach a broader global audience for Second Life in 2009. Linden Lab is consolidating the two marketplaces on the Xstreet SL platform, offering one online shopping experience for customers and merchants. This will make it easier for Second Life Residents to find virtual goods to purchase and will provide merchants broader channels to sell their products. "Linden Lab is expanding its footprint in the virtual world industry through four major initiatives – localizing the Second Life experience in key markets around the world, simplifying the ‘first hour experience' to broaden consumer adoption, enhancing the platform for enterprise users and building our virtual goods marketplace," said Mark Kingdon, CEO of Linden Lab. "Content creators and merchants are pillars of the strong Second Life economy. With these e-commerce acquisitions, we will now be able to offer content creators and merchants an opportunity to substantially improve their businesses, while enhancing the Second Life experience for all of our Residents." "The vibrant inworld economy is part of what makes Second Life such a compelling experience for Residents," said Jay Geeseman, founder of Xstreet SL. "Just as e-commerce can enhance the shopping experience for real life goods, so it can for virtual goods. With the Xstreet SL marketplace integrated more closely with Second Life, Residents will be able to find goods more easily and shop more conveniently, while merchants will have broader channels to sell their creations."